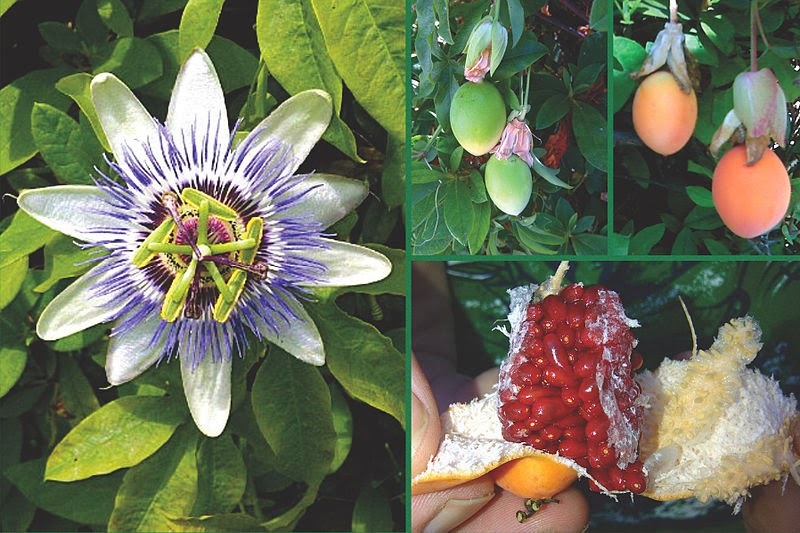 Like most true species plants, the hardy passion flower will grow true from seed, and - rather helpfully - as their true ‘roots’ lie in the tropics the passion flower seed has no immediate dormancy requirements to contend with. Unlike many other plants that are grown in a northern European environment there is in fact little preparation involved with germinating passion flower seed so long as you intend to sow immediately after collection. To begin with, you will need to wait until the passion fruit itself is fully ripe which will be around October, but even then it is worth waiting a little while longer to allow the seed to mature and fully form inside. 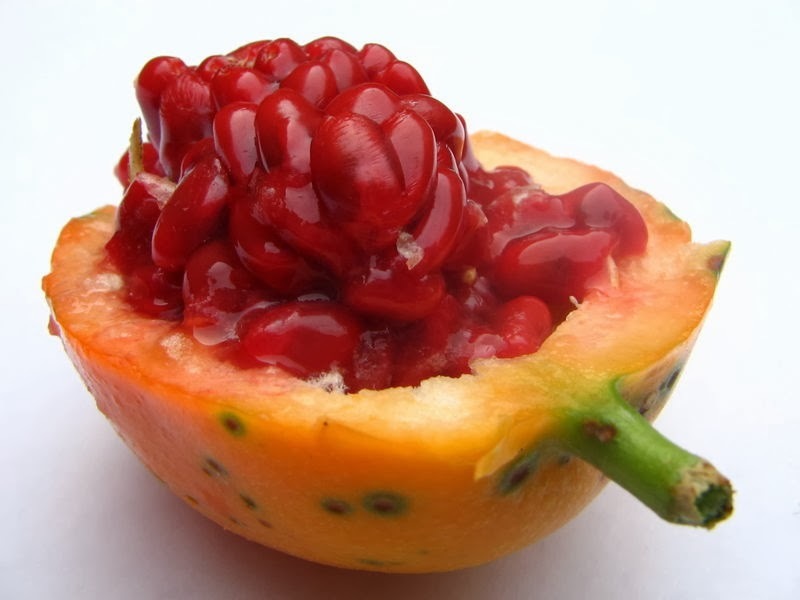 First, remove the pithy outer rind of the fruit to expose the jelly-like mass of seeds inside. The seeds – which are actually black - will appear a deep red in colour as they are covered in a brightly coloured, sticky gel which sticks them together in a loosely formed, globular lump. Take out the seed and wash off the sticky gel under a cold tap using a sieve. Remove as much of the gel as possible as this contains chemicals which can inhibit germination. Place the seed into a glass of water and discard any which float as these will not be viable. .Now dry off the seeds using a paper towel and sow immediately for the highest rate of germination. If the seeds are not used for immediate sowing then they can be stored but under these conditions they will fall into a condition of dormancy that will then need to be broken. Perhaps the best method to break this dormancy as well as improve overall germination at this point is to lightly sandpaper the seeds on either one or both sides using a fine sandpaper, then to soak them in tepid water for around 24 hours. Mohonasen 11 file is licensed under the Creative Commons Attribution-Share Alike 3.0 Unported license. Passiflora seed file is licensed under the Creative Commons Attribution-Share Alike 3.0 Unported license.